The Nordic 3680 Ni is easy to place with a width of 30 cm. It is completely painted in silver and is distinguished by its convenient depth. 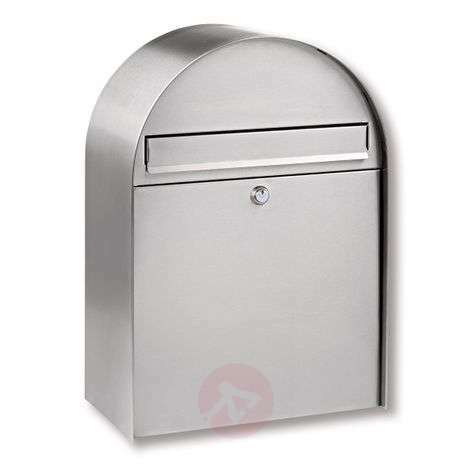 Therefore, newspapers or magazines can be inserted into the letter box without being exposed to weather conditions. It is possible to insert letters sized up to C4. It is also possible to fix on to a round arch stand; alternatively to the wall installation. The stand is available as an accessory.